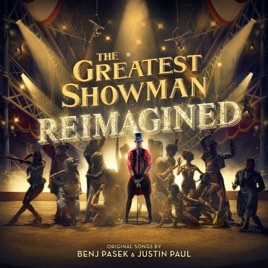 Beyond the staggering chart performances, a measure of how successful the soundtrack to The Greatest Showman has been is the number of stars who posted thoughts on, and renditions of, the songs to social media. That activity helped inspire this album, featuring covers by artists whose variety reflects the genre-fusing eclecticism of the original music. While it may be tempting to avoid messing with songs so precision-engineered with melody and emotion, everyone brings something new. Panic! At the Disco set the tone, opening with a version of “The Greatest Show” that adds rock punch to the original without veering toward the overblown. UK dance-pop titans Years & Years and Jess Glynne hang a disco ball from the big-top rafters with a glittering “Come Alive,” while some Missy Elliott bars add extra tension to “This Is Me” before the chorus’ skyscraping release. Equally stirring reworkings from Kelly Clarkson, P!nk, and Zac Brown Band only underscore what robust pop songs these were in the first place. ℗ 2018 This compilation Atlantic Recording Corporation for the United States and WEA International Inc. for the world outside of the United States. Motion Picture Artwork, Photos, and Fox Trademarks and Logos TM and © 2018 Twentieth Century Fox Film Corporation. My favorite song: Never Enough, my favorite singer: Kelly Clarkson. It can’t get better than this. I am so hyped!! !